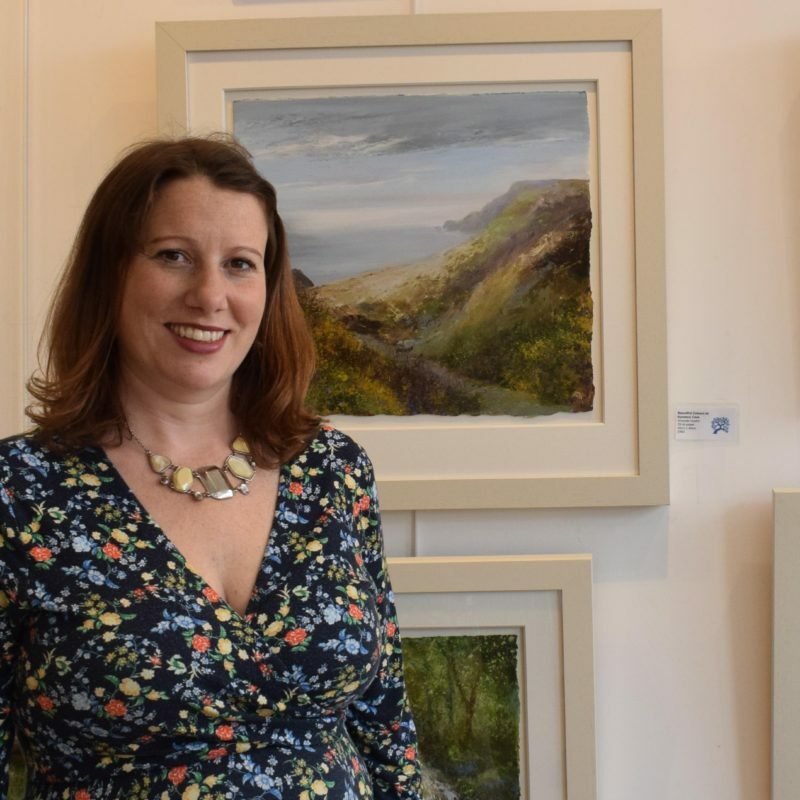 Helen Westbrooke purchased Lyndhurst Gallery in April 2014, which had been established since 2010. 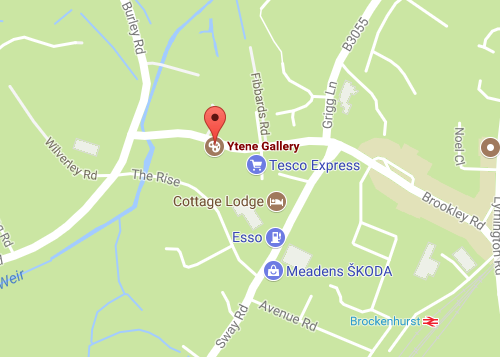 In 2016 the gallery relocated to Brockenhurst and changed its name to Ytene Gallery. “Ytene” was chosen for its significance to the area. Ytene (pronounced Ettin) is the ancient name for the area before William the Conqueror claimed it as his hunting ground in 1079 and named it Nova Foresta, now The New Forest. Helen’s first employment was fine art and antiques, following a varied career which included working for investment banks and travelling around the world as crew on board luxury Superyachts. Helen has now settled on the south coast with her husband John and two young sons Edward and George. “I’m passionate about interiors and how artwork can enhance and transform a space at the same time as adding a deeply personal touch. It has been wonderful getting to know the artists and introducing new ones to fit the vibrant style of the gallery. 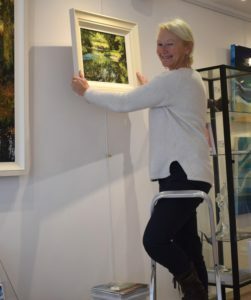 Carole busy in the gallery!